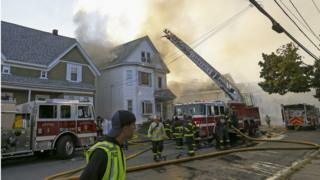 Residents of three areas hit by a series of fires and gas explosions north of Boston in Massachusetts have started to return home, officials say. At least one person died and others were injured in the blasts in Andover, North Andover and Lawrence on Thursday. All affected homes and buildings have been cleared of gas, Governor Charlie Baker said. He said 8,600 gas meters in the area had been shut off and thanked residents for their patience. A local fire chief described it as an “overwhelming event” that resembled “Armageddon”. 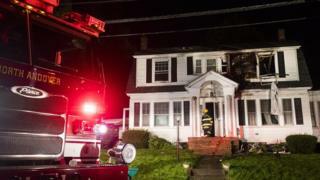 Leonel Rondon, 18, was killed inside a car in the town of Lawrence when a chimney fell on his vehicle from a house explosion, a spokeswoman with the Essex County District Attorney’s office said. At least 25 people were treated for injuries. Investigators suspected the fires were caused by “over-pressurisation of a gas main” belonging to Columbia Gas lines. 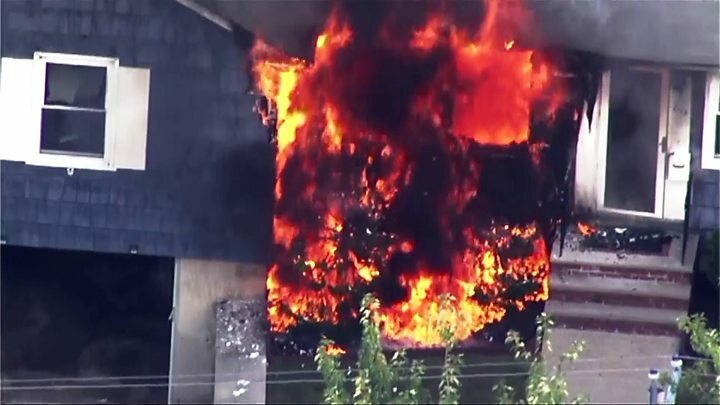 Officials said that between 60 and 80 fires and a number of explosions broke out in homes and businesses in the towns of Lawrence, Andover and North Andover. Witness accounts suggest the incidents began at about 16:30 local time (20:30 GMT). Fire crews then spent hours going from property to property tackling blazes, as gas technicians rushed to shut off gas supplies and assist in safety checks. Residents were also urged to cut off their gas supplies if they could do so safely, and advised to evacuate. Shelters were later set up in schools, churches and other properties, while roads leading into the areas affected were closed.